You are here: Home / Ethnic Groups / The People of Sumatra / Who are the Pekal? The Pekal live along the southwest shores of Sumatra. 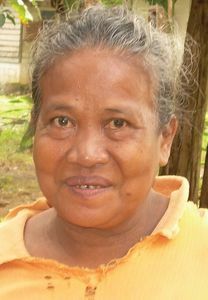 The Pekal are often called the Ketahun because many live in the Ketahun District. The main highway in western Sumatra that connects Lampung Province to the city of Padang passes through the Pekal area. The Pekal language is part of the Malay language cluster and is used for everyday interaction. The Minangkabau language has influenced the current Pekal language spoken by people today. The majority of the Pekal work as farmers and plantation workers during the rainy season and as fishermen in the dry season. They use traditional, home-made devices and tools in their work. They grow coffee, rice, chocolate, tobacco, peanuts, and various vegetables. The Pekal also work as teachers, government workers, military personnel, and merchants. The women work in the rice fields and process dried fish and shrimp. The traditional market is a cultural event involving many people. Merchants from other areas come once a week to the market. The Pekal live in homes on stilts; these homes are long and narrow. The Pekal are composed of different clans spread out in districts. If a newcomer wants to live with the Pekal, this person has to cook a meal to share with his/her chosen clan as well as other nearby clans. After this, the person will be formally considered a part of the clan and will be treated like all other Pekal, without distinction for ethnicity, religion, education, or economic status. In the Pekal culture, all people have the same rights. The newcomer must fulfill customary and traditional obligations and fulfill the duties of a Pekal community member. Almost all Pekal profess Islam but still believe in spirits. This can be seen when they use mantras to call down rain, drive out evil spirits, and purify their village from immoral acts. The Pekal have a tradition of giving mutual aid, both socially and materially. They feel obligated to help others because each person relies on others. Although their own income is low, they willingly give help to those in need, like victims of natural disasters. They also contribute to help build mosques. Creativity is needed to create new jobs, as many young people do not have employment. The area is still underdeveloped economically compared to other areas of Sumatra. The Pekal need professionals to help them in economic development, education, health, and farming. Effective technology could also be introduced to raise their productivity.